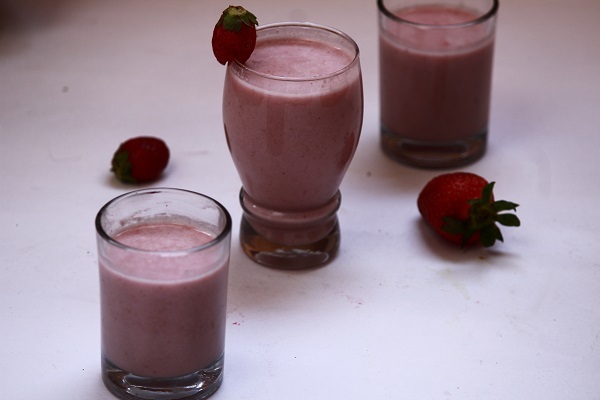 Today’s recipe is a filling healthy milkshake recipe. I have already discussed here our love for milkshakes. But there is one more thing I don’t like oats. But oats being a healthy cereal, I always look out for recipes where I can include it in my daily routine. 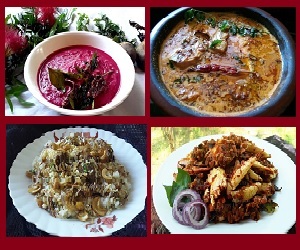 This is one such recipe which is very easy to make and tasty too. This can also be served for breakfast when you are in a hurry or when kids refuse to eat breakfast. In such cases this would be a very healthy and filling breakfast. Not only for breakfast, this can also be served as an after school snack. I usually do this when I don’t get time to prepare snacks. I add nuts to this to make it more nutritious. You can also try with other fruits also. I sometimes add bananas also to this which is also tasty. You can make variations according to your taste preferences. 1. 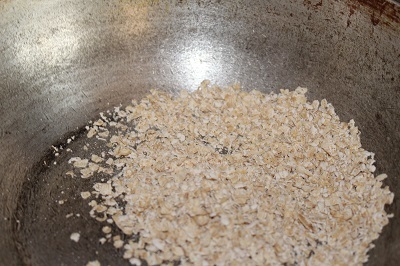 In a pan, dry roast oats till it changes color a little and becomes aromatic. Let it cool. 2. Wash strawberry, remove the calyx part, chop it and keep aside. 3. 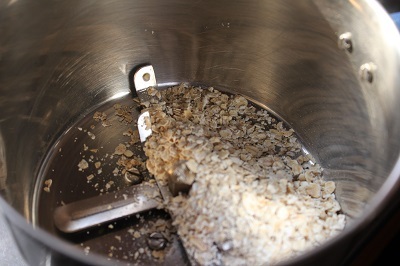 In a mixer jar, add roasted oats and powder it. 4. 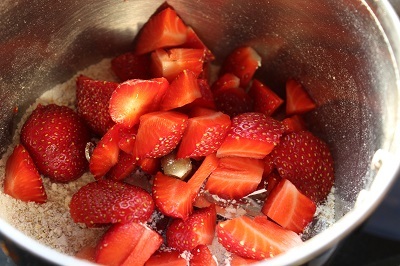 Next add chopped strawberries, sugar / honey and vanilla essence and blend it once more. 5. Next add milk and blend again. 6. Pour into serving glasses and serve chilled. 1. 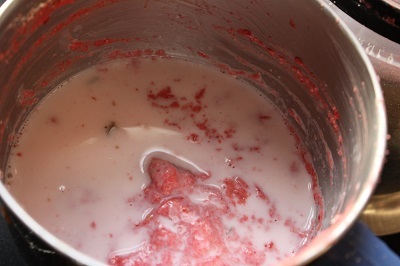 To remove the hull or calyx of strawberry, angle a small sharp knife and cut in a circular motion, around the green leafy portion of the strawberry, into the pale flesh. Discard the hull. 2. The amount of sugar is according to personal choice. 3. 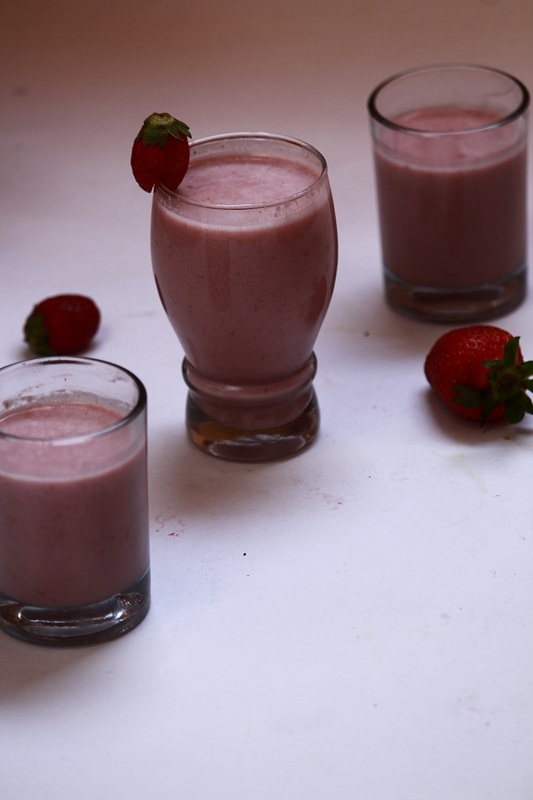 Oats can be omitted and this can be served as simple strawberry milkshake. 4. 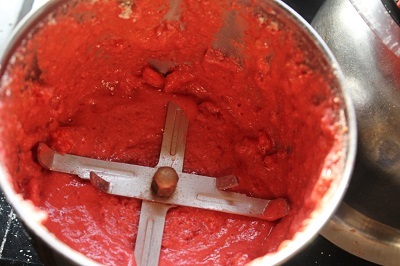 You can also add strawberry icecream to this to give it a rich creamy texture.